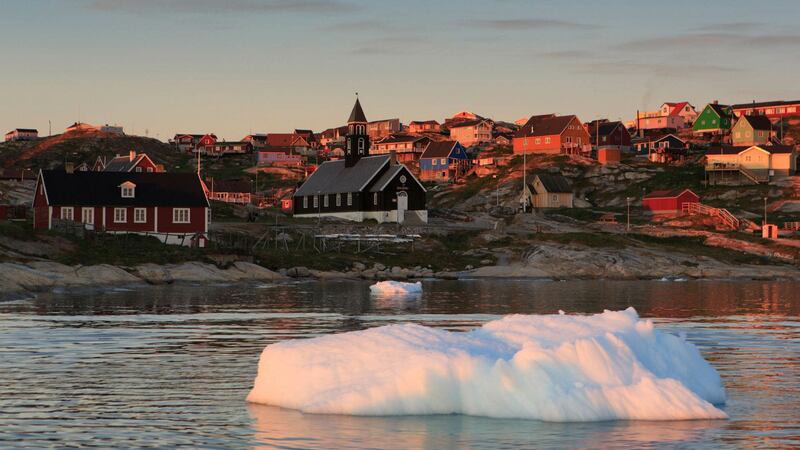 Experience life above the Arctic Circle in West Greenland! This charming town, which is 250 kilometers above the arctic circle, has just 4,600 inhabitants. 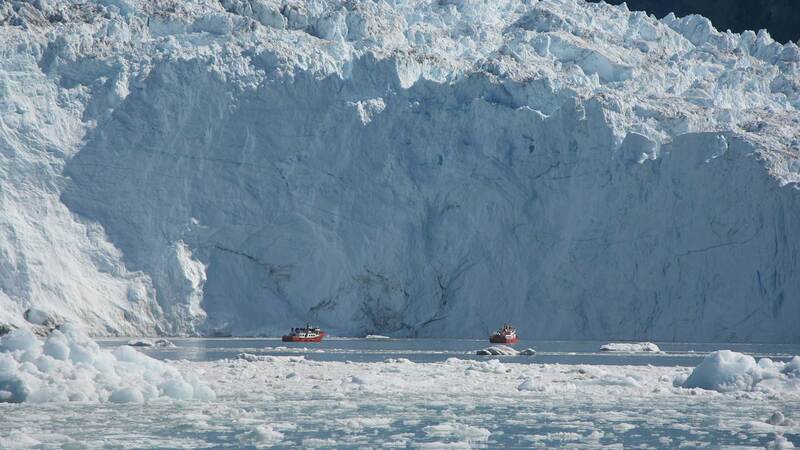 Enjoy experiencing the gigantic icebergs break off rugged glaciers and float along the deep fjords. Make the most of your time in the Arctic and enjoy amazing day tours such as boat tours, helicopter tours and hiking tours to learn more about the nature, culture and history of the region. From the Reykjavik Domestic Airport, you will fly to the charming Arctic village of Ilulissat, situated at the mouth of the 46 km-long Ilulissat Icefjord—a UNESCO World Heritage Site. On sunny days, this flight path offers wonderful views over the magnificent Greenland Glacier. After landing at the Ilulissat Airport, you will be transferred to your accommodation where you will spend the next four nights. Enjoy an included 2-course dinner at the hotel. 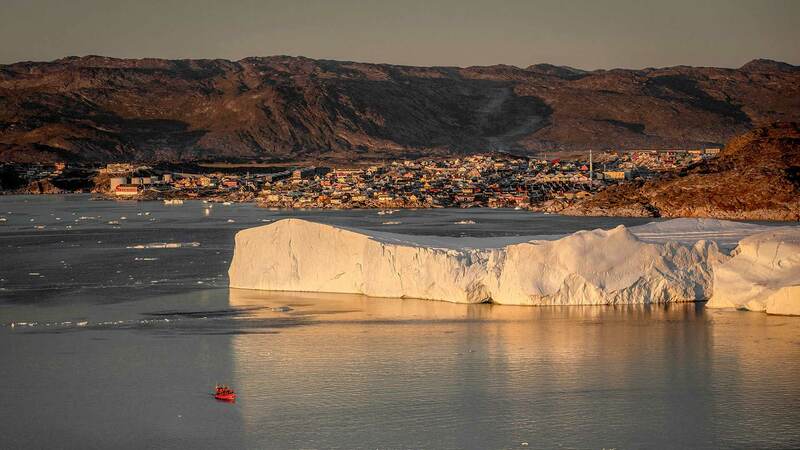 For your time in Ilulissat you are free to design your own adventure! You can choose from a wide range of exciting optional excursions, including a helicopter ride over icebergs, village walks, whale watching safaris or a visit to the small, remote settlements in the area. 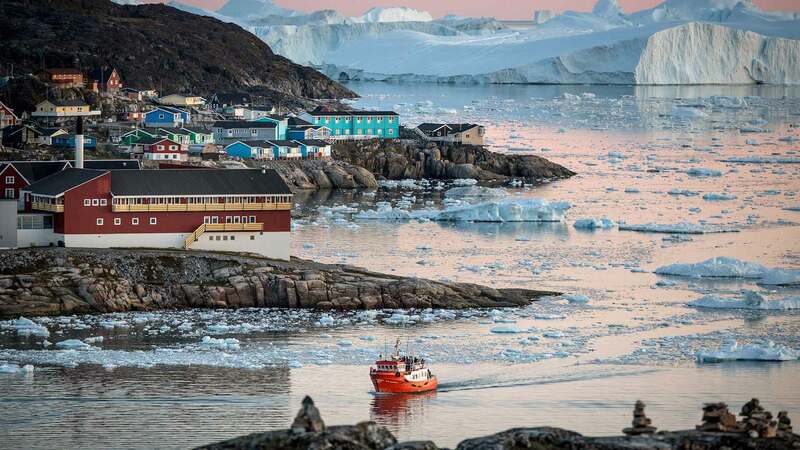 We recommend that you use your first full day to learn about the town of Ilulissat on a guided city walk (optional) or explore the surroundings on your own. Today you can add to your travel package an overnight stay at one of the surrounding settlements or at the incredible Eqi Glacier (optional). The options are to spend the night at the Ilimanaq settlement, which is a short boat ride from Ilulissat. There you can learn about the history of the small village, its few inhabitants, explore the beautiful nature in the region and stay in one of the cosy cabins available. The other option is to spend the night at Port Victor by Eqi Sermia Glacier, where you can enjoy the view of the glacial tongue, with the possibility of witnessing huge chunks of ice break away and calve in the ocean. You can also spend the day enjoying one of the many day tours offered by our local operator and spend the night in Ilulissat. Enjoy another day for fun optional activities in Ilulissat. 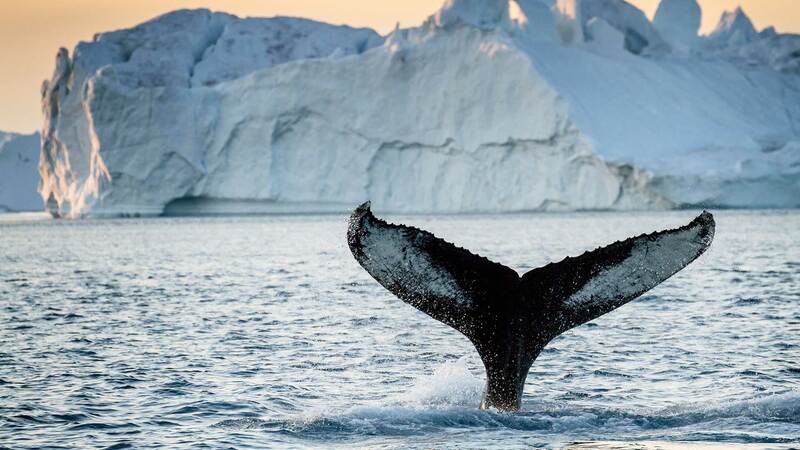 For a truly incredible experience, we recommend an evening boat tour in the Icefjord, where you will sail among towering icebergs as big as office buildings under the rosy glow of the midnight sun. And for hiking enthusiasts, the Sermermiut Valley just a few kilometres from town, offering spectacular views from several well-marked trails. In the evening, return to the hotel, relax and enjoy an included 3-course dinner. Today it’s time to say goodbye to this majestic vast island, but you still have time to take a walk around the village or do some last-minute souvenir shopping. On the return flight to Reykjavík in the afternoon, enjoy the stunning views once again over the Ilulissat Icefjord and its surrounding landscapes.